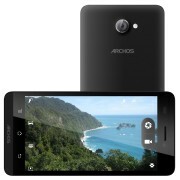 Archos took the wraps off a duo of affordable Android smartphones. 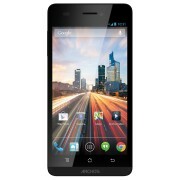 The Archos 50 Helium 4G and 45 Helium 4G both offer Android 4.3 Jelly Bean and LTE connectivity on the cheap. Design-wise, the 50 and 45 Helium are nearly identical. Under the hood, the two devices feature Qualcomm Snapdragon 400 chipsets with quad-core 1.4 GHz Cortex A7 CPUs, Adreno 305 GPU, 1GB of RAM, micro SD card slots, and quad-band 4G/LTE radios. The biggest difference between the two devices has to do with their displays. 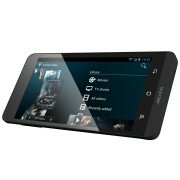 The 50 Helium 4G packs a 5" 720p screen, while the 45 sports a 4.5" WVGA unit. Furthermore, the Helium 50 also comes with 8GB of internal memory, as opposed to the 4GB for its smaller sibling, though both feature microSD card slots. The Helium 50 unsurprisingly has a larger battery too: 2,000mAh versus 1,700mAh for the Helium 45. The Helium 50 has an edge over its relative in the camera department as well. It sports a duo of 8MP and 2MP cameras, compared to a 5MP and VGA back and front-facing units for the Helium 45. 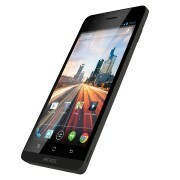 The Archos 50 Helium 50 4G and 45 Helium 4G are priced at $249.99 and $199.99 respectively. 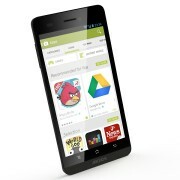 The duo of smartphones will be showcased at CES 2014 in Las Vegas next week. WOW! 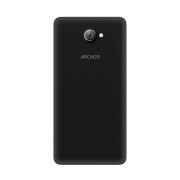 im amazed at first i tought archos is just gonna be another smartphone on doesnt even start to compete. well, i must say he is a good looking fella dont you think. and its packed with some good specs too. i will be waiting for this.